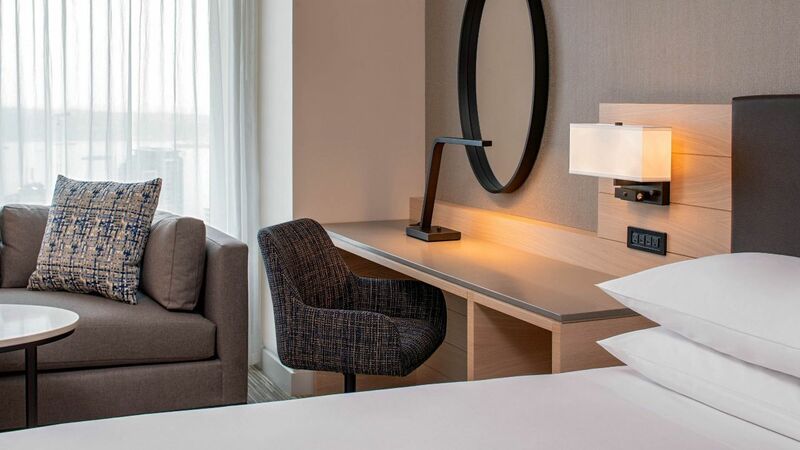 Spread out in suites ranging from 525 to 735-square feet, featuring a bedroom with either a king bed or two queen beds, separate living area, floor-to-ceiling windows overlooking the city, and a workspace. 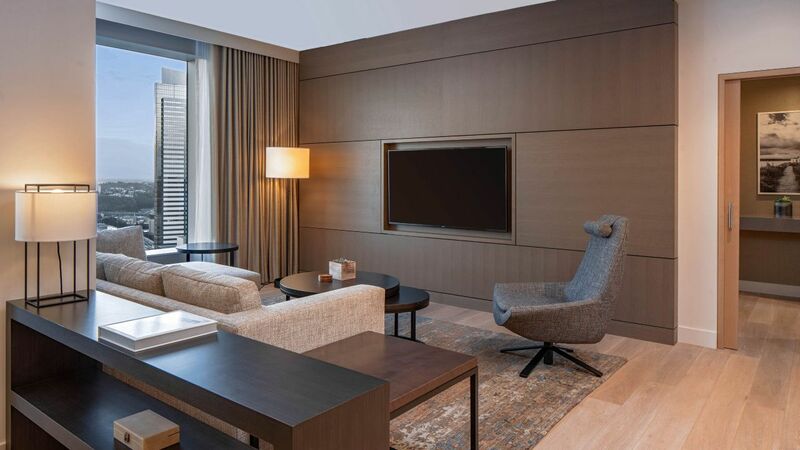 This 1,805-square-foot top-floor suite features a separate bedroom, a living room, a dining room, a workspace, a butler’s pantry, large bathrooms, and floor-to-ceiling windows featuring sweeping city views. 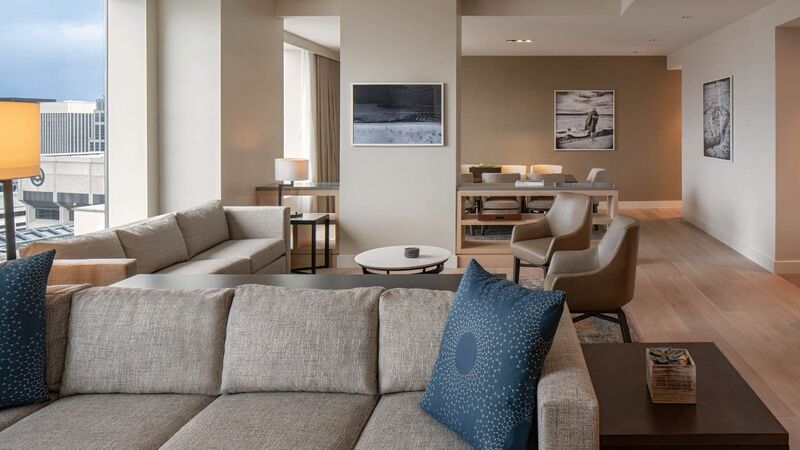 Stay in this 1,710-square-foot suite—the second largest in the hotel—featuring a bedroom, a living room, a dining room, a workspace, a butler’s pantry, large bathrooms, and floor-to-ceiling windows featuring sweeping city views. 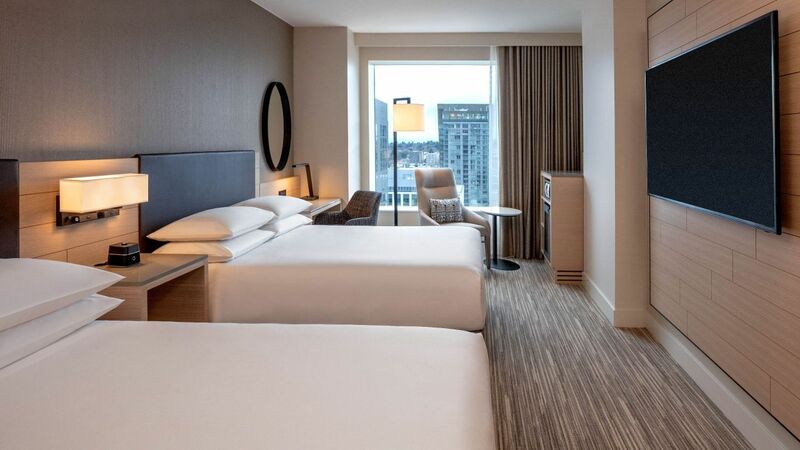 Revel in this spacious 1,275-square-foot suite featuring a bedroom with a king bed, a separate living area, floor-to-ceiling windows with city views, and a workspace. 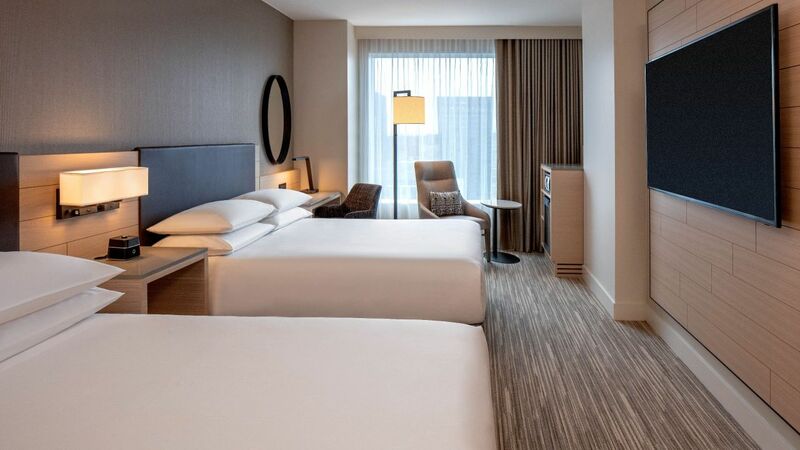 Spread out in this 725-square-foot suite featuring a bedroom with a king bed, a separate living area, floor-to-ceiling windows overlooking the city, and a workspace. 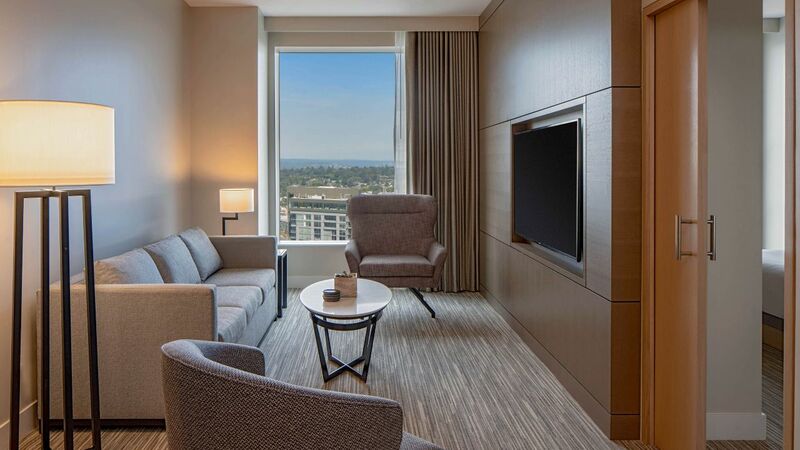 Unwind in this accessible 640-square-foot corner suite featuring a bedroom with king bed, a separate living area, floor-to-ceiling windows with sweeping views, and a workspace. 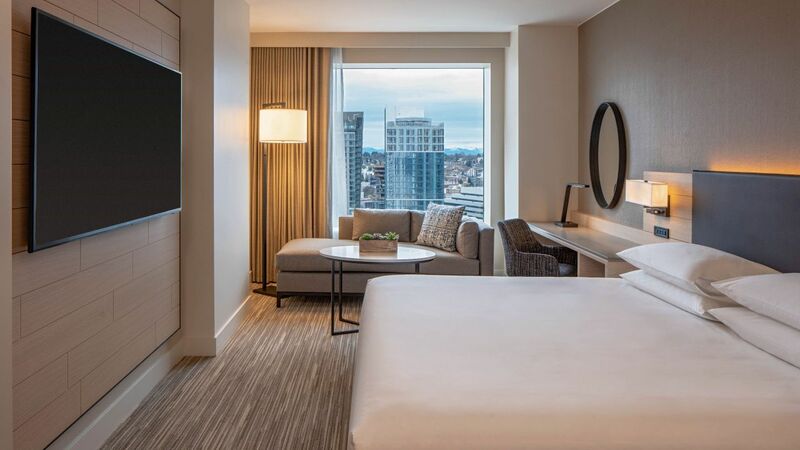 This 420-square-foot room features a king bed, an expansive bathroom, a comfortable sitting area, floor-to-ceiling windows with city views, and a workspace. 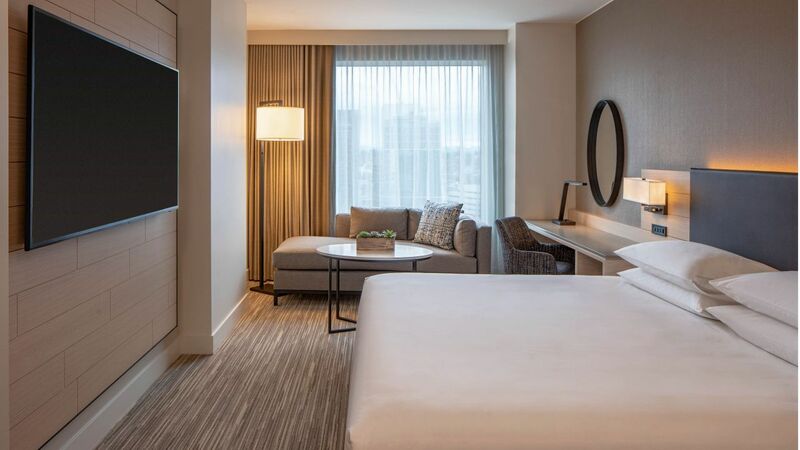 Relax inside this bright 420-square-foot room featuring two queen beds, an expansive bathroom, a comfortable sitting area, floor-to-ceiling windows with city views, and a workspace. 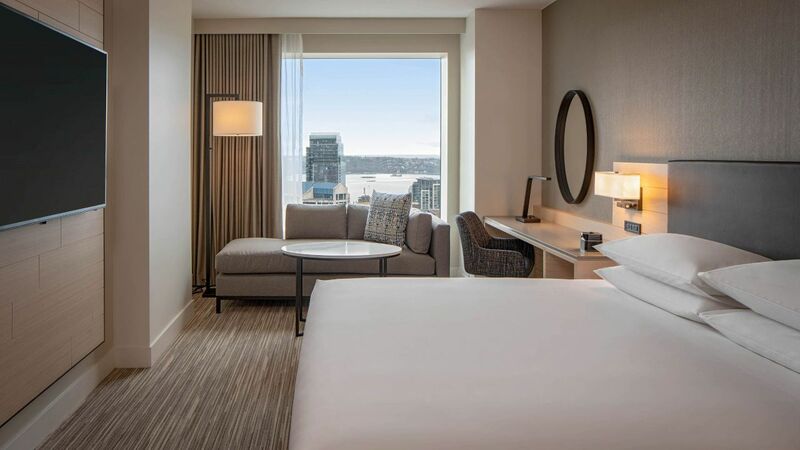 Relax inside this bright 420-square-foot room featuring two queen beds, an expansive bathroom, a comfortable sitting area, floor-to-ceiling windows with Lake Union views, and a workspace. 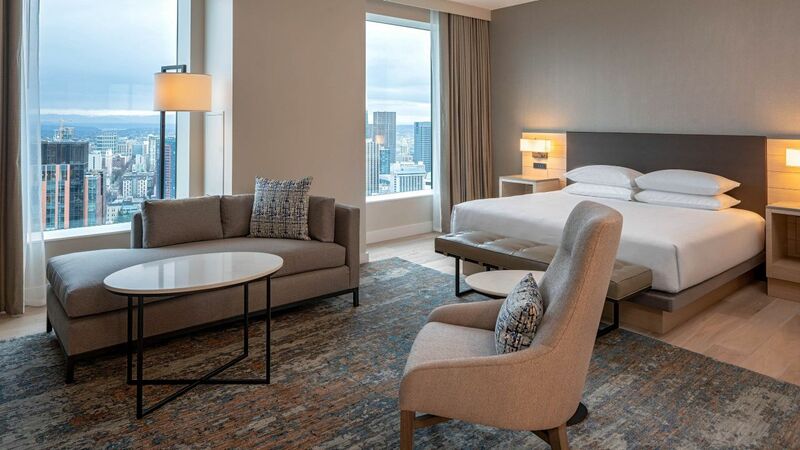 Revel in this 320-square-foot room featuring one king bed, floor-to-ceiling windows with a city view from a higher floor, a workspace, and full access to the Regency Club Lounge. 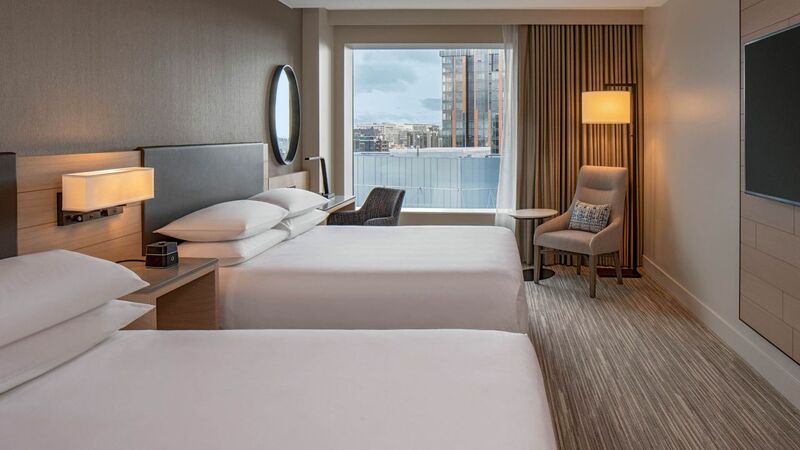 Revel in this 320-square-foot room featuring two queen beds, floor-to-ceiling windows with a city view from a higher floor, a workspace, and full access to the Regency Club Lounge. 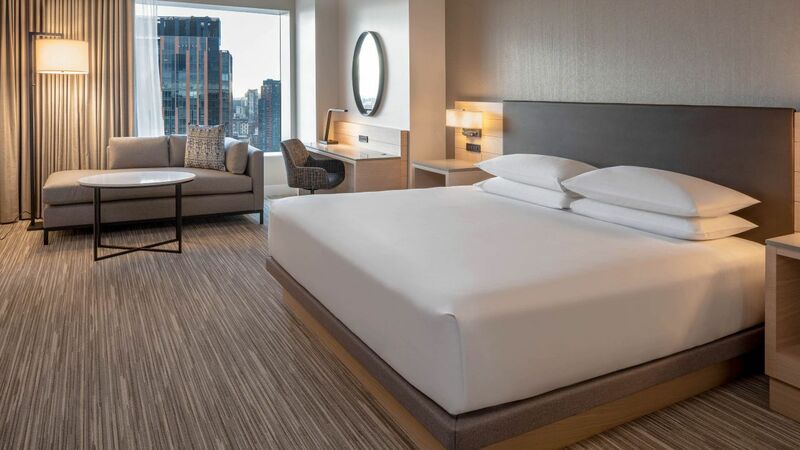 Revel in this 320-square-foot room featuring one king bed, floor-to-ceiling windows with sweeping city views from a higher floor, and a workspace. 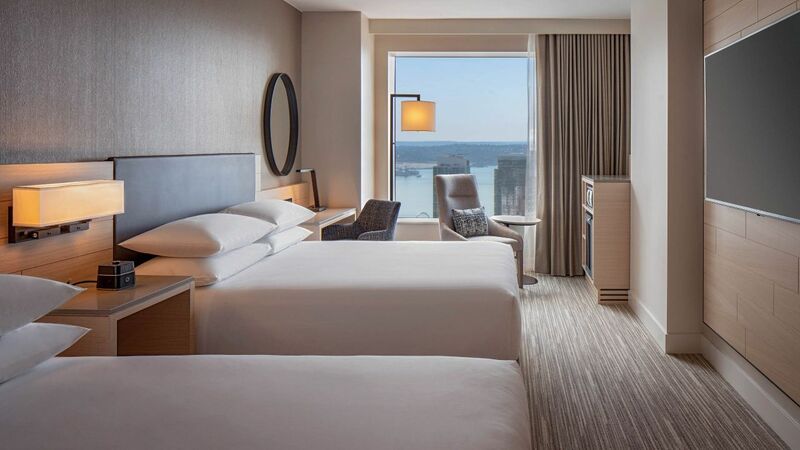 Revel in this 320-square-foot room featuring two queen beds, floor-to-ceiling windows with sweeping city views from a higher floor, and a workspace. 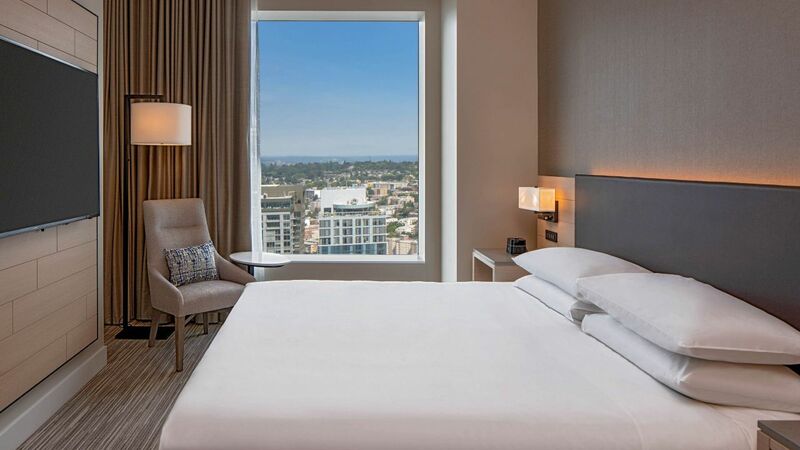 Revel in this 320-square-foot room featuring one king bed, floor-to-ceiling windows with Lake Union views from a higher floor, and a workspace. 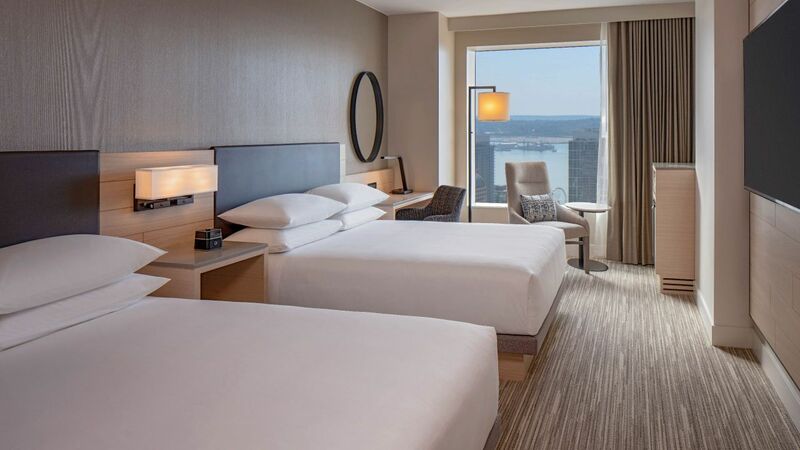 Revel in this 320-square-foot room featuring two queen beds, floor-to-ceiling windows with Lake Union views from a higher floor, and a workspace. Revel in this 320-square-foot room featuring one king bed, floor-to-ceiling windows, and a workspace. Revel in this 320-square foot room feature two queen bed, floor-to-ceiling windows, and a workspace. 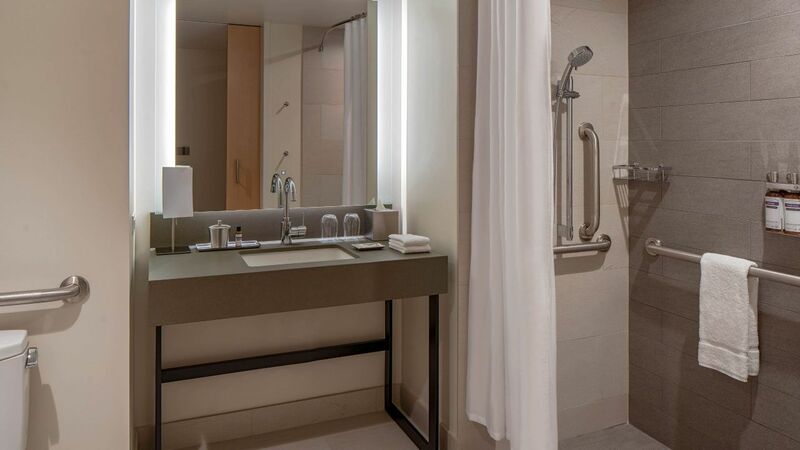 Revel in this 320-square-foot accessible room featuring one king bed, floor-to-ceiling windows, a roll-in shower, and a workspace. Revel in this 320-square-foot accessible room featuring two queen beds, floor-to-ceiling windows, a roll-in shower, and a workspace. 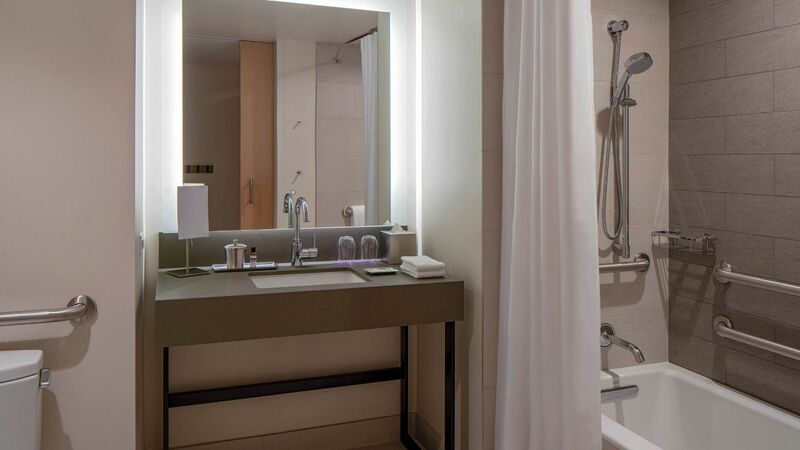 Revel in this 320-square-foot accessible room featuring one king bed, floor-to-ceiling windows, an accessible tub, and a workspace. 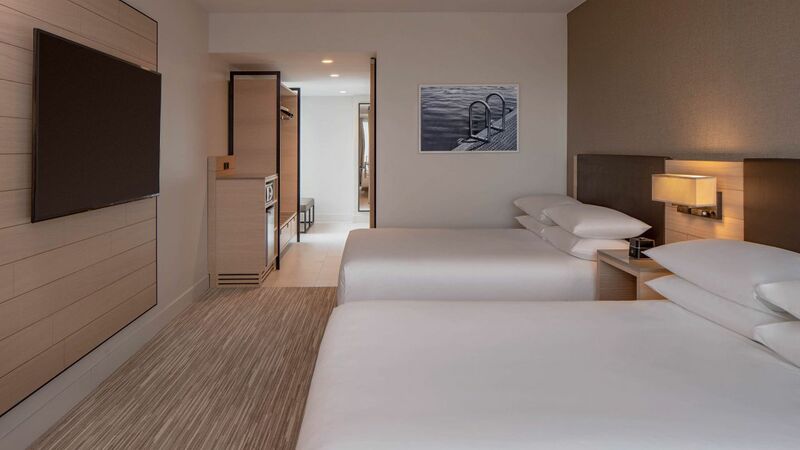 Revel in this 320-square-foot accessible room featuring two queen beds, floor-to-ceiling windows, an accessible tub, and a workspace.